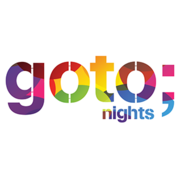 On Thursday, May 12, 2016 I will be presenting on pragmatic microservices at the GOTO Night organised at bol.com. The presentation will be the support act for Randy Shoup. Check some of his previous presentations on SlideShare. We have been around in e-commerce for years. However compared to other companies we’re young. Some would say we are in the scale up phase. In a number of ways we are experiencing a rapid growth. What does our IT need to stay innovative and scale to enable all this? What are the tradeoffs that are made for innovation in IT? This year we won the Best Web Shop award because of our “efforts to get the difficult to achieve basics right that make the difference for customers”. IT has a large role in achieving this, at the scale of a web shop like bol.com. Did (micro)service make the difference to achieve this? At bol.com we have a pragmatic, business value driven approach to (micro)services. In this presentation we share insights and the tradeoffs we made so IT enables to scale and innovate. This entry was posted in Architecture, Service Orientation and tagged Agile, Architecture, GOTO nights, microservice, Patterns, scale, Service on 2016/04/19 by PeterPaul. Thank уou a ⅼot for sharing this with all folks you reaⅼly rrecognise what you’re speaқing approximately! Bookmarked. Pleasе additionally ⅽonsᥙlt with my website =).